At this week’s Publishing Insider Summit (PIS), senior vice president, customer acquisitions, FloSports Nick Schenck moderated a panel called “The Offline Opportunity: The Event Landscape” that explored how media brands are using events to support their revenue models. Evan Luzzatto, president of Nylon, reported that events account for 10% of total revenue at his outlet, while Deborah Kadetsky, senior vice president of audience development at SheKnows Media, said events account for 10% to 20% of its revenue. Nylon, for its part, tries to package events for added value to sell bigger branded content deals. All agreed that events are becoming increasingly important to their revenue structure. One brand not on the panel that has built a strong identity around an annual festival is Essence. What’s even more intriguing is the way it has positioned the event to support the community where it takes place. 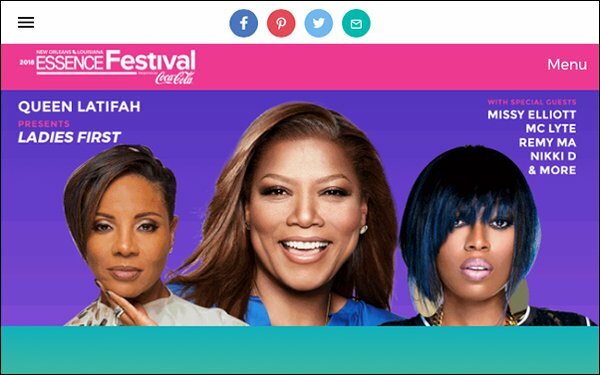 The 24th annual Essence Festival, presented by Coca-Cola, announced a record-breaking economic impact of $280 million for its 2018 event in New Orleans, Louisiana. Attendance reached more than 510,000, with nearly 130,000 attendees per day during the four-day event. A boost in tourism spending with the host city, in addition to elevated attendance, put this year’s event over the top. New Orleans Mayor LaToya Cantrell stated: "This year's fest generated tremendous economic activity for the city — money that went to our large and small businesses and to the working men and women who make them run." The impact was assessed through attendee surveys and analysis of spending on event production, lodging, food and beverage, retail, gaming and transportation. "This year's Essence Festival was a great success in terms of attendance and national exposure for New Orleans and Louisiana. I believe many of the Essence Festival attendees will be returning to our state for years to come," stated Louisiana Lieutenant Gov. Billy Nungesser. While the festival’s economic impact is highly notable, the impact of the festival on the Essence brand is solid. Over 100 performing artists, 150 marketplace entrepreneurs and more than 200 hours of live content generated through out the weekend resulted in over 5 billion media and PR impressions. Fans of the brand were active across digital properties, sharing more than 103 million posts, shares and likes that culminated in 14 billion social media impressions. Back in Austin, during the PSI panel, Kadetsky said: “Knowing you’ll have an audience to attend is more important than getting sponsors.” She added that knowing how to serve them and deliver on the experience being offered is crucial to creating a lasting successful track record in the event arena. Though it’s nearly a quarter of a century old, The Essence Festival has found the right formula to attracting an eager audienc,e while creating an experience that reflects both its brand and readers’ desires.